In college we used to go to this thing called Two times Tuesdays where you could get 2 for 1 wings. I’d like to formally and publicly apologize to Two times Tuesdays for not respecting the wonderful tradition of bone-in chicken wings. Yes, all, I am a boneless wings person. That is, until I tried these wings. Oh I’ve had my fair share of chicken wings – but the sweet and tangyness of these combined with the slight grill char were SO ON PAR for an evening that I’d describe as fall clinging on to a past relationship that is summer (i.e. we are ready for fall food, but it’s kind of still hot in Atlanta). 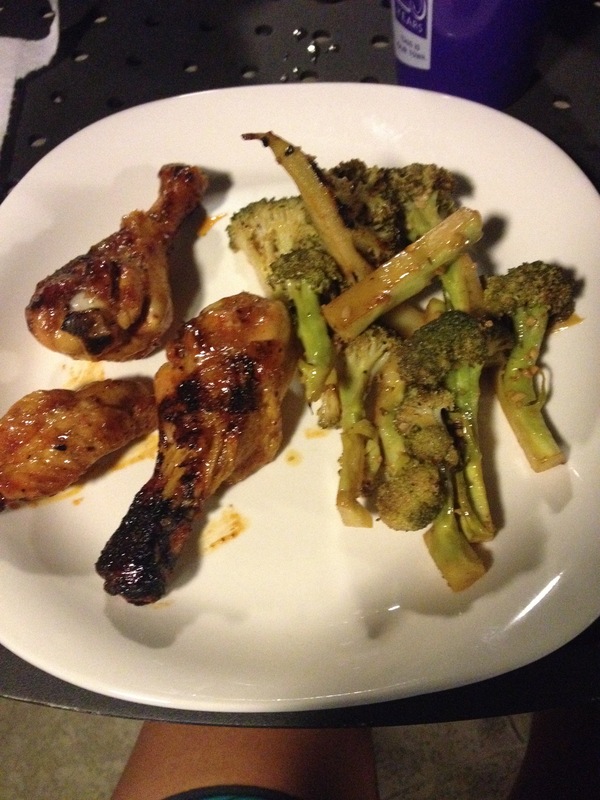 I have to say thank you to my friend Mike for teaching me how to make chicken wings and for prepping this whole meal! If you are low on dollars and low on time, I’d highly suggest this meal! 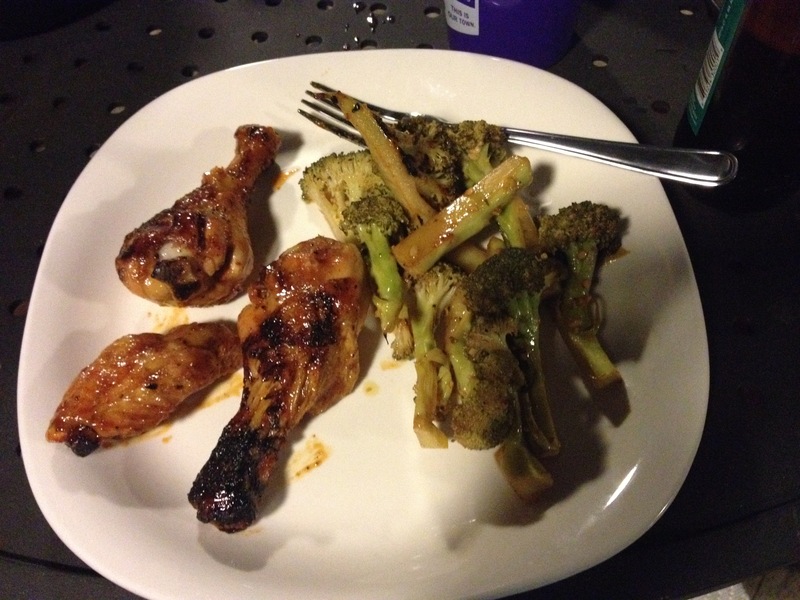 The chicken only took around twenty minutes on the grill, and the marinade for the garlic should only take the day to absorb flavors. So I’m actually talking from the perspective of Mike considering I did very little work here – but I’d love to transfer knowledge over to any of you all who are also first time wings grillers so I’ll share from my perspective. 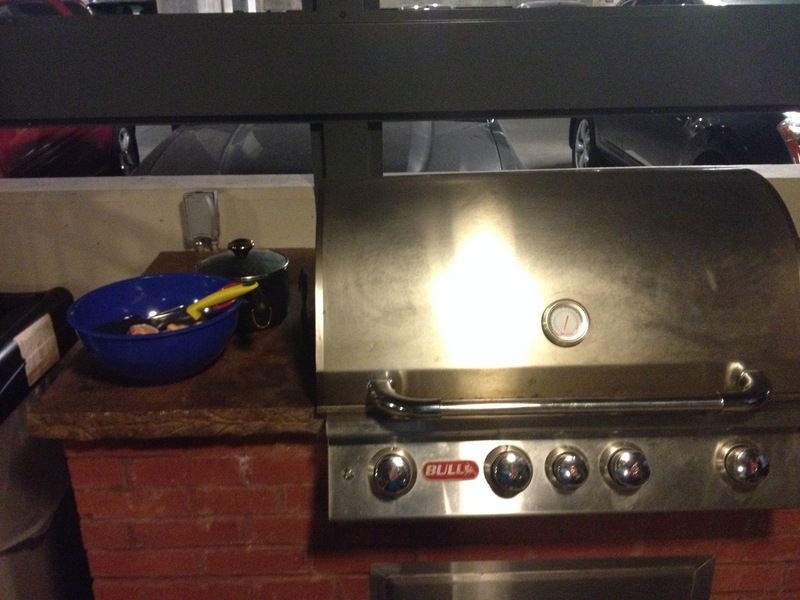 Prepped the grill – make sure to take your time to let it heat up medium/medium high heat. 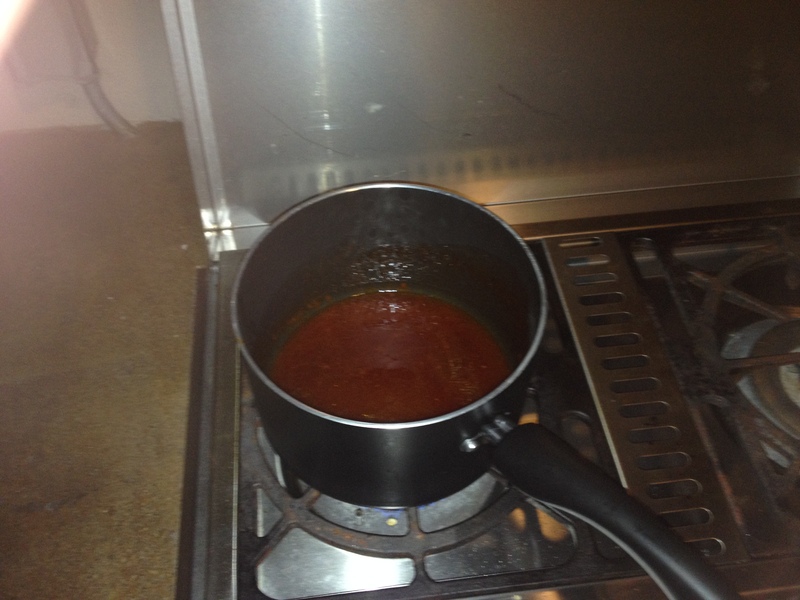 Mike had already prepped the sauce so we just put it on low on a burner to keep the sauce warm. If you hadn’t prepped in advance, make sauce. 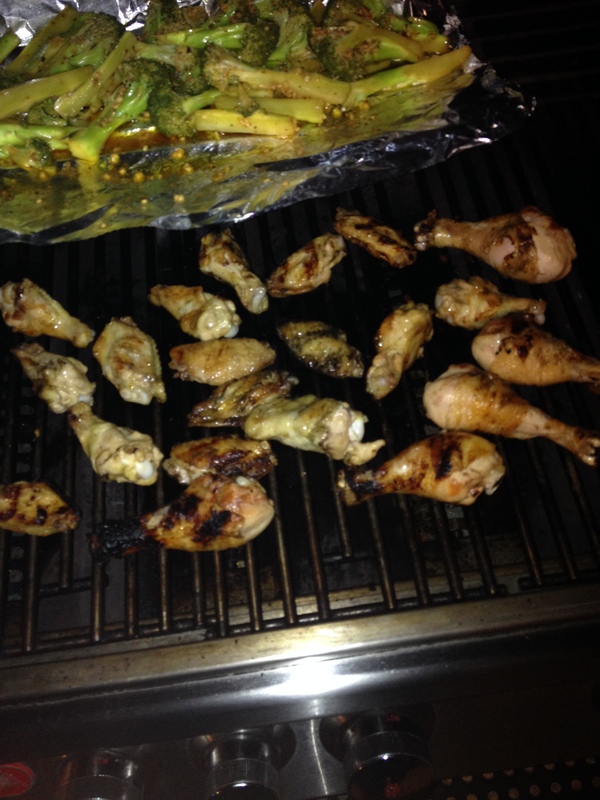 Add the chicken wings onto the grill, rotating every 2 minutes or so to evenly cook them. After about 20-25 minutes, wings were about done and we tossed them in the sauce and voila! a carnivorous meal. 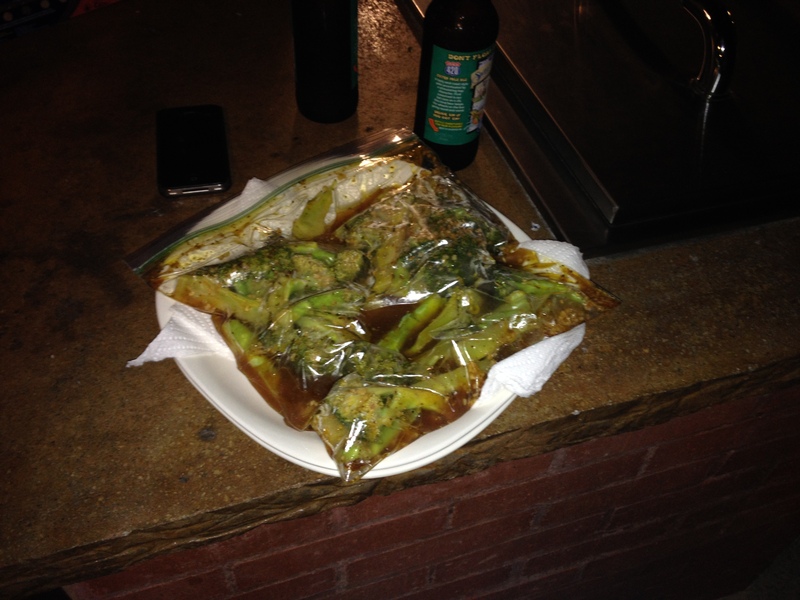 This is the recipe for the Neely’s Spenser’s Grilled Broccoli. The great thing about something like this is you can really use whatever kind of vinegar you have on hand or dry rub. I think Mike has his own dry rub that he likes to use for grilling and had red wine instead of white wine vinegar. All the power to ya to use your fave flavor. I really think the only thing you need to nail here is 1) not overcooking the broccoli and 2) adding garlic. You want to blanch the broccoli so that it just barely cooks. That way, when you add it to the grill, it won’t take very long to cook but will get a nice smoky grill flavor. So, if you think once you’ve blanched the broccoli it still looks raw – that’s actually a good thing. Mike marinated this for the day I think? and we simply put it on some aluminum foil on the grill about 5 minutes before the chicken were done cooking. Make this please!! 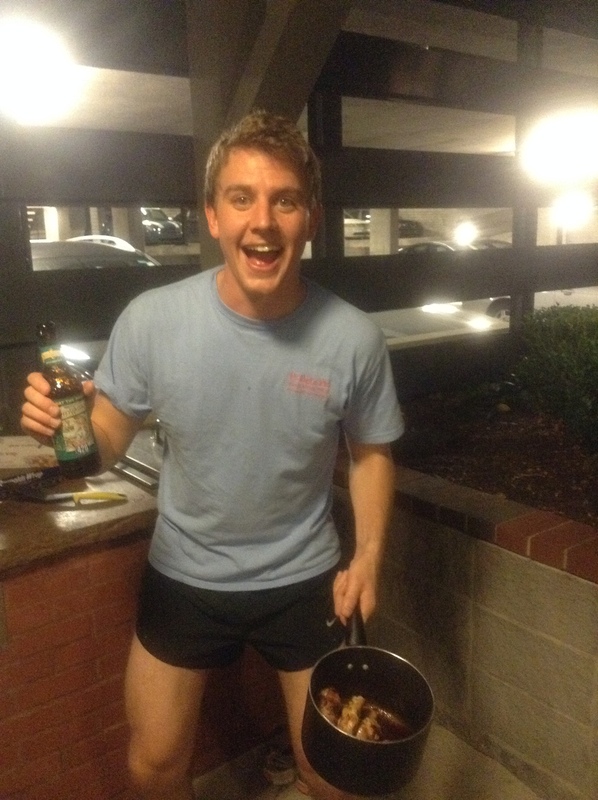 And put your feet up, relax, and drink some Sweetwater 420 like we did to celebrate the fact that it’s a Thursday night and you just grilled chicken wings and managed to complete a long jog with the maniac that is Mike Kerrigan. Woo!